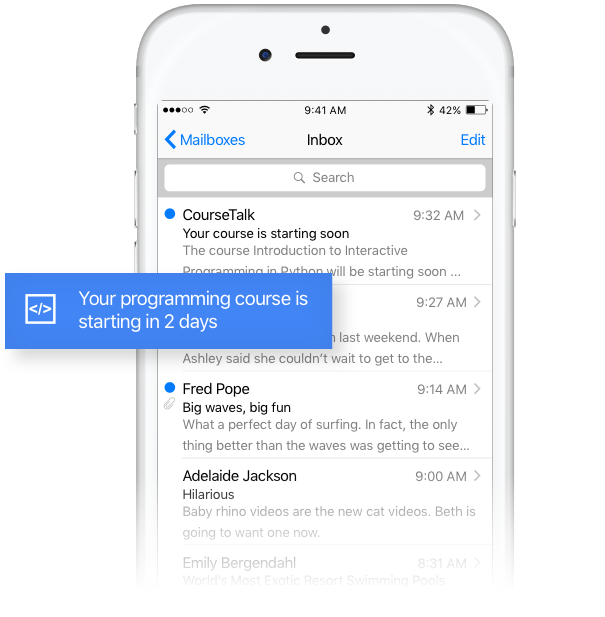 Course Advisor from CourseTalk uncovers the web’s best courses based on your interests and feedback from students like you. What does CourseTalk have to offer you? 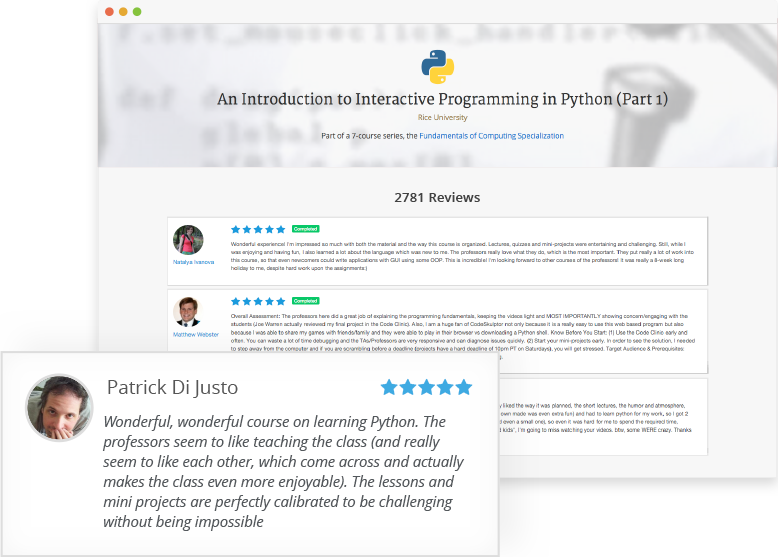 Tell us what subjects interest you, and our recommendation engine will determine which of 40,000 online courses you’re most likely to love. Access over 100,000 student reviews to make sure you know what you’re signing up for. 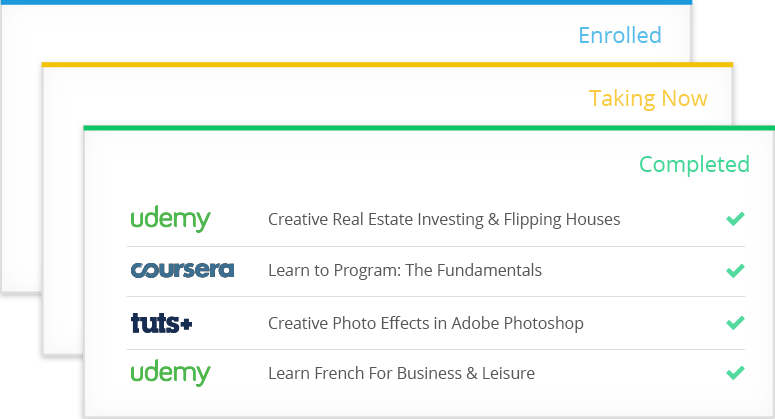 Keep tabs on all your courses – past, present and future – in one convenient location. We’ll keep you up-to-date on upcoming courses, discounts and more.